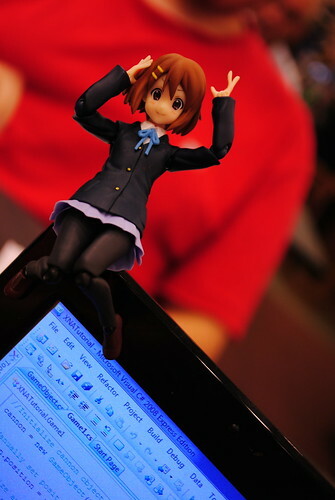 ... as I take pictures of my figmas. 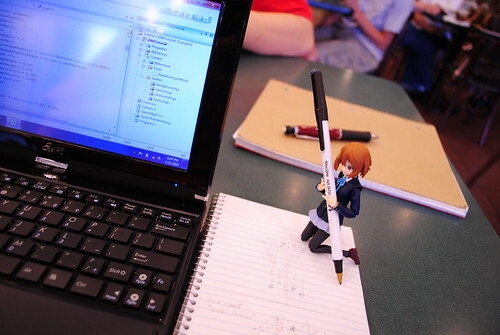 Taking figmas out and about and snapping pictures of them is fun for me once again. Ever since I first got my hands on the original Yuki two years ago I would carry a figma and my camera and take pictures every now and then. Starting late last year though, figmas started to lose their luster. While I would still carry them around I didn't take as many pictures as before. New figmas would stay sealed in their boxes for months instead of me opening and wanting to play with them as soon as I could as if I was a little kid. Was it the string of characters I did not particularly like? Was I afraid of breaking them due to the drop in quality? Was it because I now owned so many that getting a new figma was just one more? 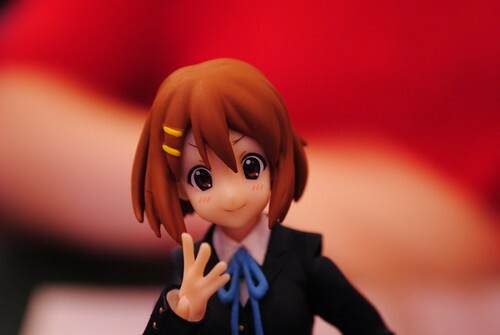 Whatever it was, I stopped carrying a figmas and my camera all together. Today I can say it was a combination of all those things. 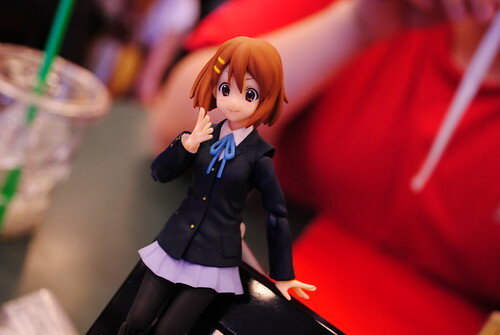 Out of the line of figmas, I hadn't liked a series of figmas such as Yui and company so much since the original batch of the SOS Birgade. 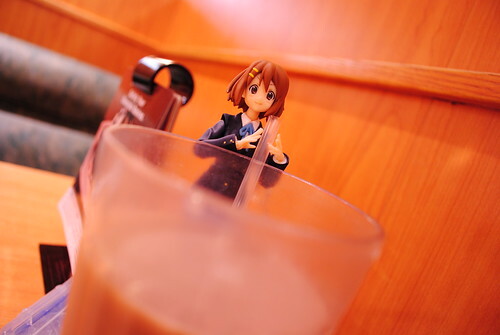 After all, as soon as got my hands on Yui and the rest of the K-On! girls I started to take them out again. I even started to carry around my DSLR to take pictures instead of my digital camera. Not only are the K-On! girls and the rest of the figmas back up in quality where I'm not afraid to break them, I look forward to the new releases once more. I can't wait to complete the Afternoon Tea Time band or get my hands on Black Rock Shooter and Dead Master. Once more do I remember why I fell in love with figmas in the first place. Besides, I think it's fun and amusing when people stare in curiosity to my antics and I get to show off my interest to other people. 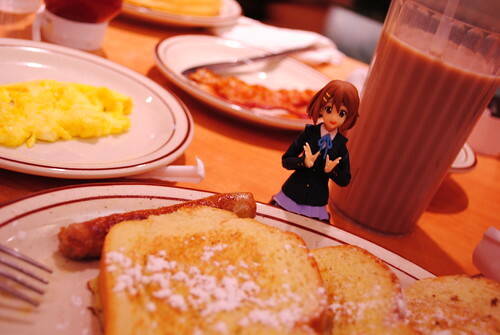 Plus, I think figmas and food mix quite well in pictures. Now then, self reflecting post out of the way, that last picture has set my stomach growling.